Grafton resident Erin Hogan has been named a Rising Star for Musical MainStage, a professional concert series at Sunset Playhouse in Elm Grove. She will appear in BROADWAY BUDDIES on March 14 & 15th. The daughter of Chris and Mary Helen Hogan, Erin is a junior at Grafton High School, where she has been seen in MARY POPPINS, THE SECRET GARDEN, and HELLO, DOLLY! 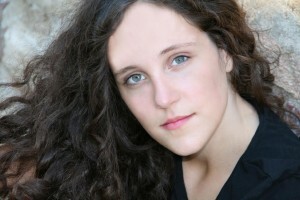 She recently participated in the Florentine Opera Company’s Young Singer/Actor Intensive and has received top honors in Wisconsin State Choir competitions and from the Wisconsin Conservatory of Music. Erin will join Doug Clemons, Katherine Duffy, Joel Kopischke, and Tamara Martinsek in BROADWAY BUDDIES, a tribute to musical theater duos like Rodgers and Hammerstein and Kander and Ebb. Performances are on Monday and Tuesday, March 14th and 15th. Be sure to call our box office – 262-782-4430 – to reserve your tickets or buy online today. This is a show you don’t want to miss.